In our first issue (March 2007) we bid you welcome on board as you were genuinely interested in ‘tall ships’ and because you wished to support our mission: to promote Curaçao, its harbour and help our youngsters at the same time. These are the main reasons we keep going, keep inviting the ‘tall ships’ and induce them in accepting our invitations. We hope you will also enjoy our present site. On February 28, 2018 we celebrated our 18th anniversary; 18 years of working incessantly on our mission for Curaçao, our harbour and our youngsters. We trust we may continue to do so for many more years. Besides the tall ships' visits during the past years representing nearly 20 nations, we also organize our own colourful events. All the captains who have visited Curaçao have expressed their wish to return because of what we offer them, time and again: our unique people, quality over quantity – and some of them (like the Mexicans, the Colombians and the Chileans) have indeed returned. In their own words, they are “besides their own country’s, also our sailing ambassadors”. The latest (and 4th) visit of the stunning sailtraining 4-master of the Chilean Navy 'B.E. Esmeralda', from July 1 - 5, 2015, was a huge success; the Commander and his crew (and we all) had a fantastic time and they assured us that they will return for a 5th and more visits. 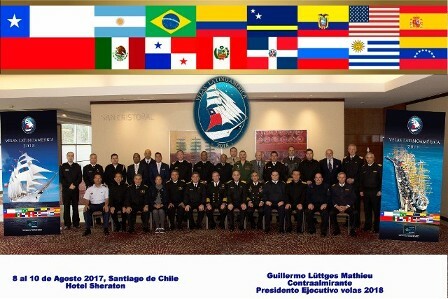 The Commanders in Chief of the Navies gathered in the XXV Naval Inter American Conference (Cancún, México in May 2012), after analyzing the continental repercussion and the valuable experience obtained during the development of “South America Sails 2010”, agreed to repeat this activity every 4 years. 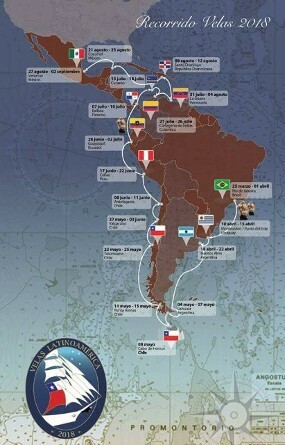 During the Cancún meeting in 2012, the Commanders in Chief defined that the name would be “Latin-America Sails”, that the 2014 version would be organized by the Argentinian Navy and the one in 2018, by Chile. In this 2014 version, 8 ships of 7 countries participated. During the XXVI Inter American Naval Conference that took place at Buenos Aires, Argentina, in September 2014, the Commanders in Chief confirmed the Chilean Navy as the organizer of the following version in 2018. The country will be commemorating the Oath of Independence that took place two hundred years before. The Chilean Navy, founded along with the Republic, will be celebrating her bicentennial. Chile will also be celebrating the Bicentennial of the creation of its Naval Academy “Arturo Prat”, the Marine Corps, the Naval Commissary, the Supply Core and most importantly, its first organized Fleet set sail that year. In consideration of the importance of the events that will be held, the Chilean Govern has determined that this challenge will be faced as a Country Project, committing all State agencies. Apart from the following (already invited) countries, Argentina, Brazil, Colombia, Ecuador, México, Peru, Uruguay and Venezuela, other countries outside the region have also been approached. In the following months, as their acceptance to participate have been received, we will post the information on this Page. The countries that will be visited by the Fleet in 2018 and that do not have tall ships are: Panamá, Curaçao and the Dominican Republic. The Organizers expect that various facilities and activities will be offered to the Fleet of Tall Ships when visiting; the various countries have already been informed. Curaçao will offer the fleet the same facilities as always plus some extras. Curaçao is Port of Call of this Regatta. The event in Curaçao has taken place on Sunday 15, Monday 16 and Tuesday 17, July 2018. On Wednesday 18 the tall ships of the participating countries have left Curaçao and sailed to Cartagena (Colombia). The tall ships of the REGATTA VELAS LATINOAMERICA 2018 have gathered in Rio de Janeiro (Brasil) on the 25th of March last and started on April 1st. 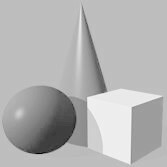 For updates, please visit the website www.velaslatinoamerica2018.cl (of the Chilean Navy, organizers of the Regatta) or our facebook page Facebook/VelasLatinoamericaCuraçao2018. DUE to an internal server error on Register.com, we could not upload our program now.